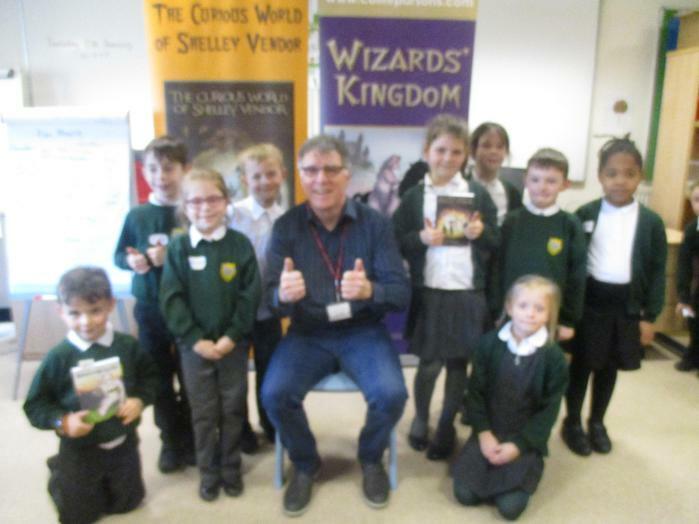 Some of our Year 2 children and other children from our local area, spent the day with Welsh author Colin R. Parsons. He worked with the children developing their writing skills, showing them how to add detail to their stories through the use of senses. Getting a cool drink became an interesting journey for an ice cube! The children wrote a first draft of their own stories about a journey through a computer portal, leading them to a Hall of Mirrors / a Mystery Boat Ride / a Ghost Train. Some read their stories aloud and then there was a quiz and questions to the author to finish the day.